For International Womens Day, we celebrated the achievements of Restless Women we work with. 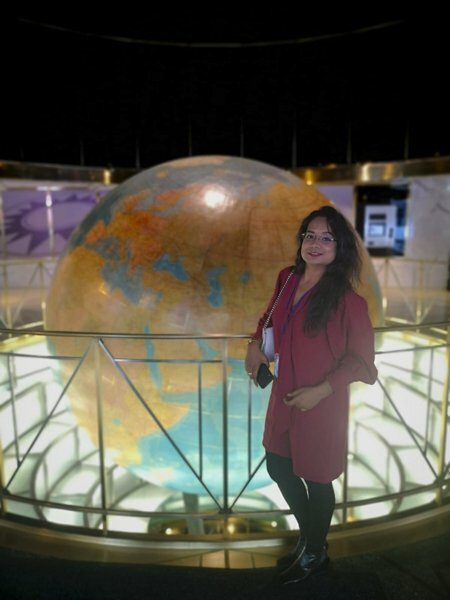 Ritu represented Restless Development at the 63rd Commission on Status of Women earlier this month. This year, the themes were Social protection systems, access to public services and sustainable infrastructure for gender equality and the empowerment of women and girls. I felt so fortunate to participate in the 63rd commission of status (CSW63) of women this March. Meeting new people, from diverse backgrounds, cultures, and traditions every day was a great experience and I learnt so much from every conversation I had during the intergenerational sessions. 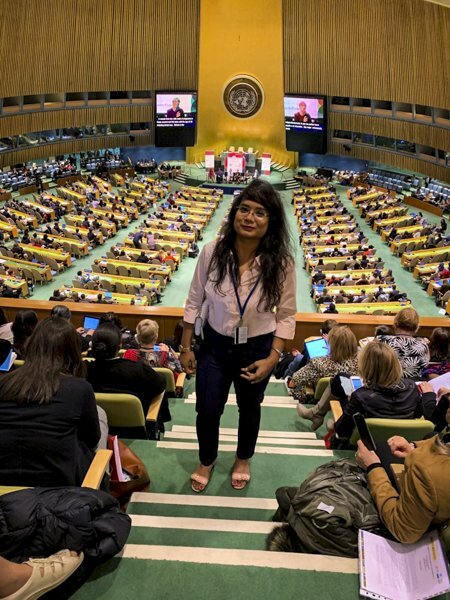 The CSW63 was a learning experience where civil societies from all over the world indulged for a cause at UN headquarters, organised by UN Women. Pre CSW was a chance to get an idea of what would be happen during the week ahead. On the first day of pre CSW I was appointed as a facilitator of an event co-facilitated by an official of UN women, Molline Marume. The second day was a day of negotiations between different groups who would continue to work separately on the issues discussed even after they got back to their countries. Finally, the day arrived. As we headed to the UN headquarters I knew that March it is going to be an unprecedented lifetime experience for me. Overlooking the East River, the flags of 193 UN Member States stood united with each other with their heads held high. I felt so proud to see my home country’s flag equally represented with the other Member States. It put me through spirals of emotions and motivated me to work hard all week. A lot of sessions were taking place simultaneously and every one of them was engaged in discussing the Sustainable Development Goals and Family Planning 2020. The first session I attended was about Khadi, a global change that started in India. I learnt how Khadi, a handspun yarn, is contributing to developing nations worldwide. The first day was full of enthusiasm and getting to know our way around the building. There was even a photo shoot for all the young people there. On March 13, during the ‘take the hot seat- a high intergenerational event’, I was appointed by UN women to raise questions to the UNAIDs executive director regarding prevalent HIV and AIDS. The event was attended by more than 500 people at the United Nation security council. On the same day, during a round table conference with UNFPA organized by restless development I and my fellow youth accountability advocate from Tanzania, Thobias were fortunate enough to speak and share about our work and experiences. I met officials from India and told them about my work. Each meeting and conversation I had this week was a new chance to learn, and to have the opportunity to represent what ‘I’ as a young person feel. I was able to raise concerns and highlight the barriers that I face in achieving the 2030 Agenda for Sustainable Development, and how I am being supported by a broader civil society movement. I was filled up with power and joy by seeing so many young people working for the betterment of their states. I am sure if young people would take command for the betterment of their nation, then our country is definitely in safe hands. Educated youth will work to ultimately develop their country they just need support from the government and guidance in initial days for how to begin their journey of SUCCESS.